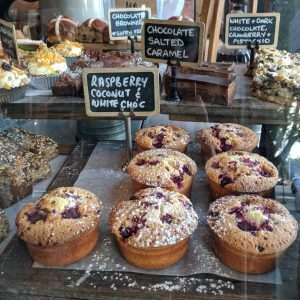 We just got back from Australia and one morning we went to a coffee shop called Proud Mary Cafe. 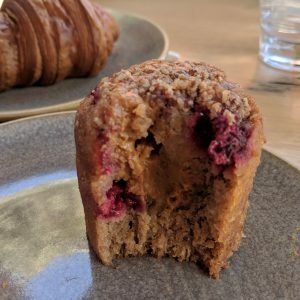 I ordered a muffin (hey! don’t judge, I was on vacation!) and while going to pay I told the waiter how delicious the muffin was. He said, thats a friand! I was like huh? a freon?? To Americans this looks like an ordinary muffin, however they are a lot denser…. and delicious. Easter is rapidly approaching and I knew I had to find a recipe and try to make them. The one I had in Australia was filled with caramel goodness but I couldn’t seem to find a recipe like that (and I don’t trust my skills with filling one either!). I found this recipe from Epicurious. I am happy to report that they were actually really easy to make! I am not a professional baker (or professional anything for that matter) so I didn’t alter the recipe at all. Click here to view and print. 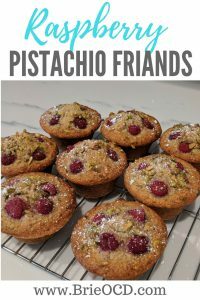 I love the top of this friand the best because of the juiciness of the raspberries. Next time I am going to put some raspberries directly into the mixture and not just place them on top. Mo berries, mo better!! I also use The Spifter to dust the sugar on top! It is an amazing dusting tool that you can use to decorate your cakes, coffee, deviled eggs and so much more! Can’t wait to try out more friand recipes! I hope you enjoy! 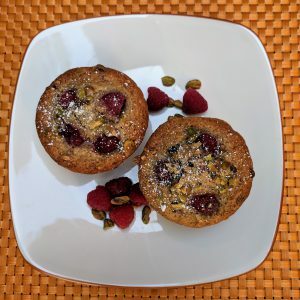 MAKE SURE TO DO THIS UPDATE TO THE FRIAND RECIPE – YUM!! 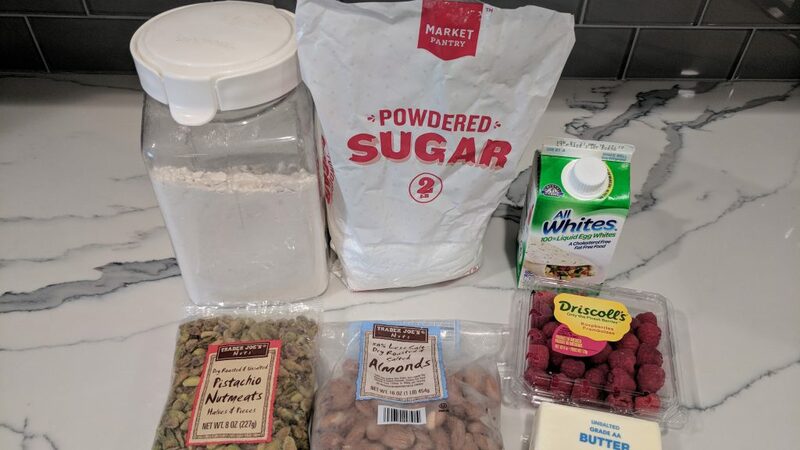 ***UPDATE*** I made a 2nd batch today using Gluten-Free flour and mixed 75g (about a 1/2 cup) of raspberries into the batter. I think they are so much tastier! Not necessarily because of the GF flour but more so because of the raspberries making the base of the friand moist and delicious. Do it!! 2nd batch w. GF Flour & Raspberries mixed into batter! 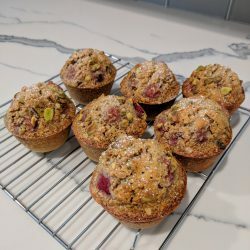 Products I love to use when baking these friands!